This morning about 7:30am, as I was looking out the front window, I spotted what I originally thought was a dog, but it just wasn't registering properly, so I got up and had good look and there across the street walking on the sidewalk was a coyote! Strangest thing I have seen on our streets as I am only about 3 blocks from downtown Whitby. Glad I was not out walking my two small dogs! Wow, Coyotes sure have adapted well to Urban life, eh! 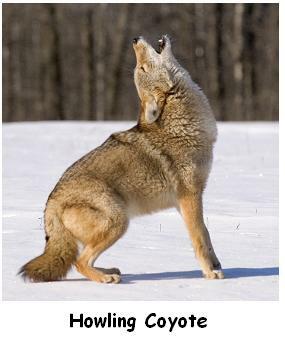 Here is a link to a forum which talks about Coyotes in the Whitby area and also a news item about Coyote sightings further north in the Port Perry area.